Everyone needs a break, even if it's just for two short days. As cities become increasingly crowded and noisy, and as internet connectivity expands to reach us even in our most private and sacred of spaces, so do we long to find a retreat where we can close our doors even for just a while on the tiresome traffic, the long, laborious commutes, and the deluge of calls, emails, and text messages that can surely wait another day. But don’t get us wrong; we’re absolutely realistic. 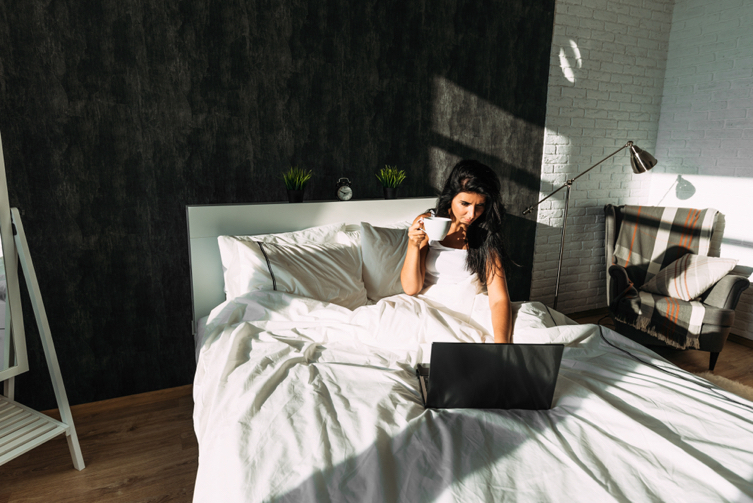 We understand that long breaks are often a luxury because we’ve got bills to pay. This means that the place we’re looking for is far, but not that far—after all, there’s still work to be continued after the brief weekend. Close, but not that close either—we need to legit feel that we have gone somewhere less accessible than the nearest air-conditioned mall. And in the scorching Philippines, an ideal break almost always includes a trip to the beach. So where is that semi-faraway paradise that is just the right distance from the metro? 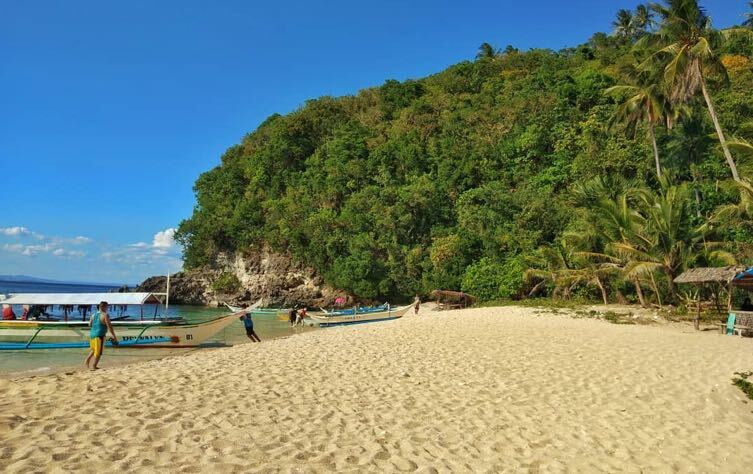 DG Travelers, set your sights on Puerto Galera, Oriental Mindoro, where you can dive into the majestic waters, then swim back onto land, and finally, climb up to a majestic mountain where you can take in the most heavenly sight. Think it’s impossible to do all of that during a brief stay? This itinerary will prove otherwise. Editor’s Note: When planning your trip, make sure to take into consideration other factors such as the weather, time for cooking and meals, the number of people in your group, other places you might want to visit not included in the itinerary and minor delays, among others. All time allotments in this sample itinerary include travel times between locations. All our recommendations are a tricycle or boat ride away from one another. Many locals will be happy to help you figure out how to get around. To get to Puerto Galera, you need to ride a ferry at the Port of Batangas, a two-and-a-half-hour drive from Quezon City. This will take you to the Sabang Port in Puerto Galera, which means “Port of the Galleons”. The ferry ride is only an hour long. The best hotel or inn location largely depends on the environment you are looking for. Are you up for a lot of socializing and a lively night? 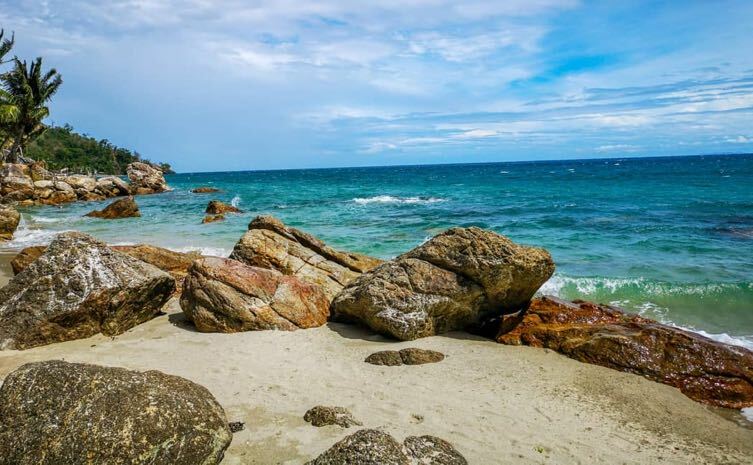 You may opt to stay along the popular White Beach. 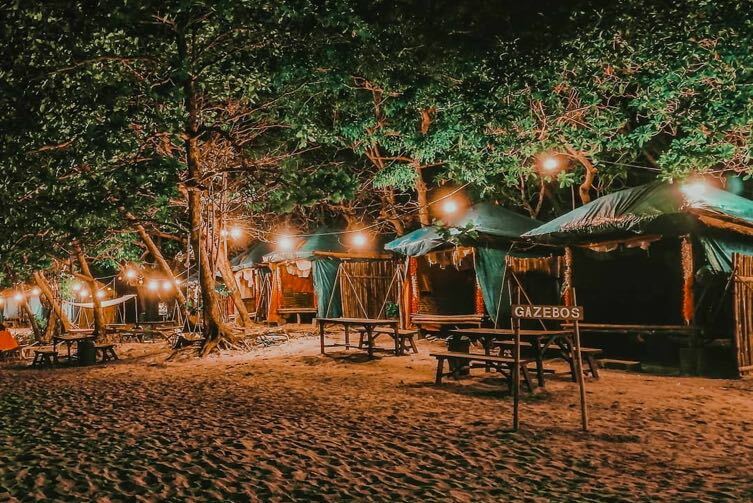 However, we think the best places to stay at in the area are those located a few minutes away from the party capital of Puerto Galera. 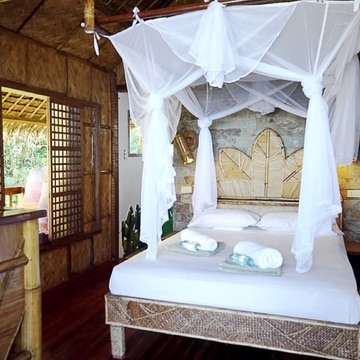 Check out Edgewater Dive & Spa Resort in Sitio Kabilang Gulod, which is a 10-minute walk away from White Beach. From here, the diving spots are only 20 minutes away. Each room is air-conditioned, has its own bathroom, and comes with a huge flat-screen TV. 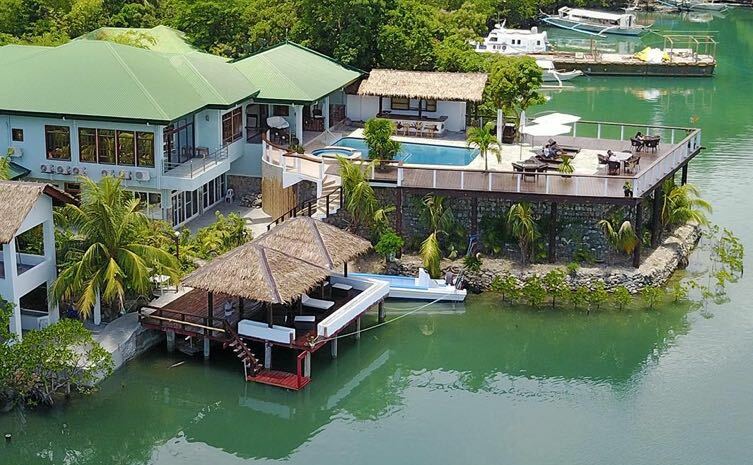 The resort offers a wonderful view of the Mangrove bay, and has its own dive shop. 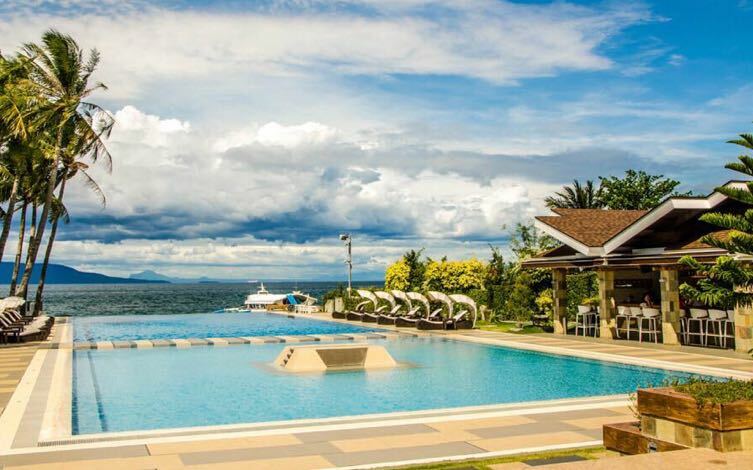 Considered the most luxurious hotel in Puerto Galera is Infinity Resort. 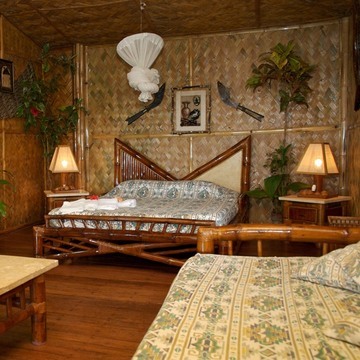 A four-star hotel, it is tucked away in the relatively peaceful Talipanan. With its elegant suites and an exquisite infinity pool, you can be assured of a comfortable stay here. An alternative is Marco Vincent Dive Resort, which is right smack in the middle of the White Beach vicinity. You can literally open the door of your room and run straight into the party scene or the ocean. 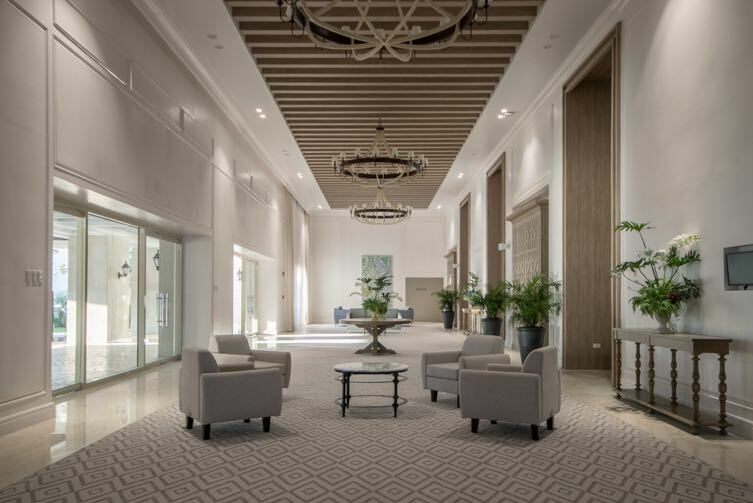 It offers seven varieties of rooms, ranging from deluxe to premier queen. 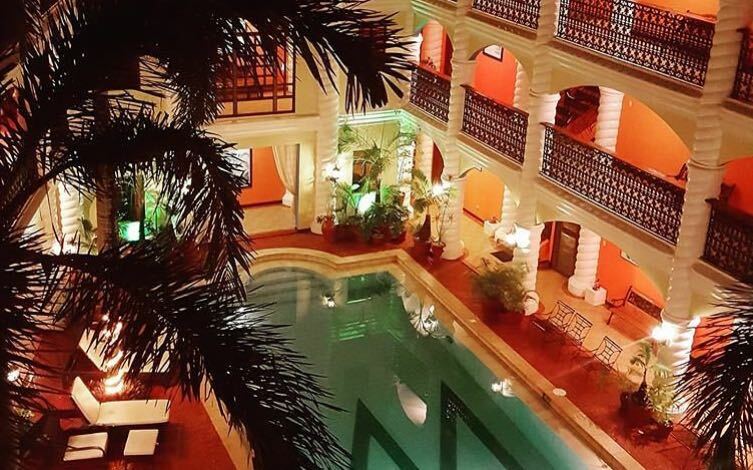 Looking for cozy accommodations at the best-priced deals? Check out our exclusive offers for Coco Beach Island Resort right here! Almost all resorts in Puerto Galera offer diving and snorkeling packages. 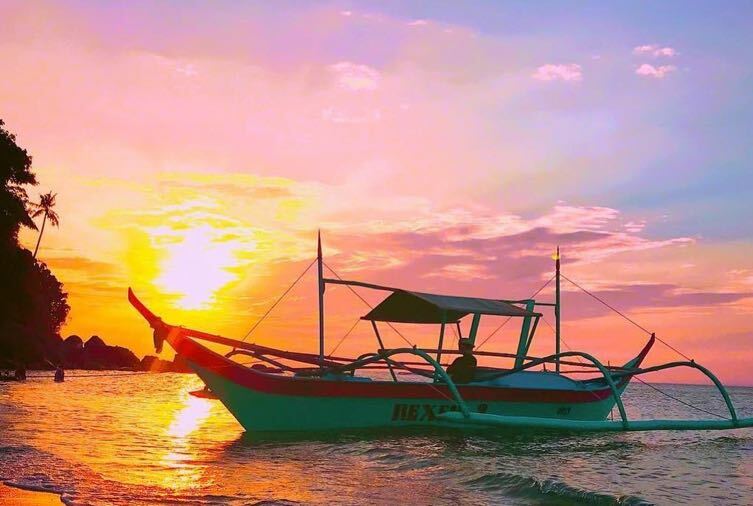 You can either avail of those, or hire a local and a boat to take you around—the second option is usually cheaper, and will let you focus on just having a great time worry-free. A boat with a carrying capacity of eight people costs around ₱1,500 to ₱2,000. Start your adventure by appreciating the corals and living creatures under the sea; morning is the best time to see them in their full glory. Beyond the white sand and sparkling green and blue waters of Puerto Galera is an impressively diverse marine life that boasts being part of the World Network of UNESCO Biosphere Reserves. The Reserves are considered “living observatories” and models for implementing the 2030 Sustainable Development Agenda and the Paris Agreement on climate change. DG Traveler Tip: Make sure to keep your valuables protected from the water! Though the waves are not really high, the inside of the boat will definitely still be wet when you’re done with these activities. There will be lots of Instagram-worthy pictures to take underwater, so we suggest you bring an underwater camera. 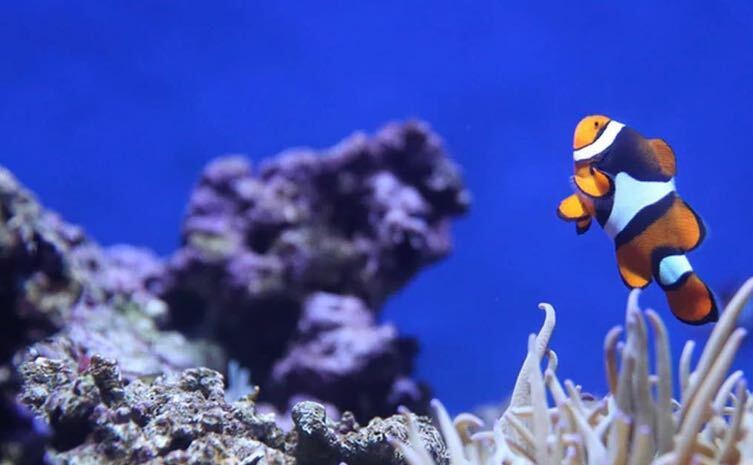 Here you will encounter a motley of clown fish (resembling Pixar character Nemo), the glowing yellow trumpet fish, the vividly striped sergeant major fish, the tiny-lipped moorish idol, the eye-catching lion fish, and flat worms of different lengths and colors, among many others. Diving or snorkeling lets you in on a splash of colors that are an absolute joy to watch! Just be careful not to step on the corals, and be sure to ask your local guide where to see anacropora puertogalerae, a type of coral that thrives in Puerto Galera. This spot is famous for—you guessed it!—giant clams. It would be difficult to miss the tridacna gagna, the biggest clam in the world. 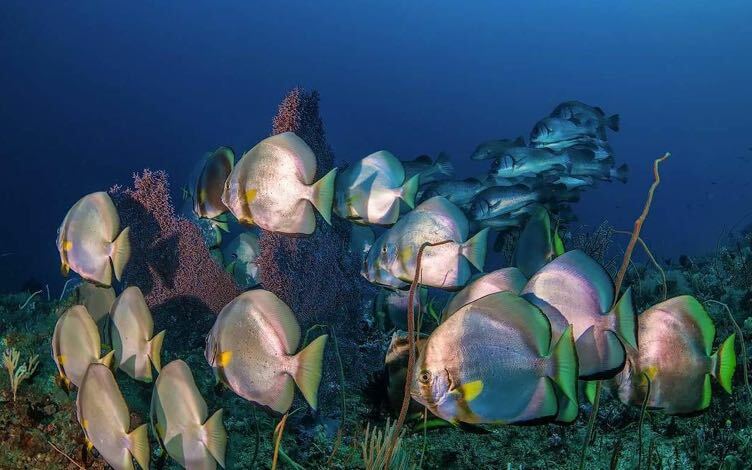 Simply passing through the openings are the strikingly blue damsel fish. If you’re in luck, you just might catch a view of a manta ray or a shark. The ruins are a testament to the rich history of Puerto Galera as part of the galleon trade route during the earlier centuries. 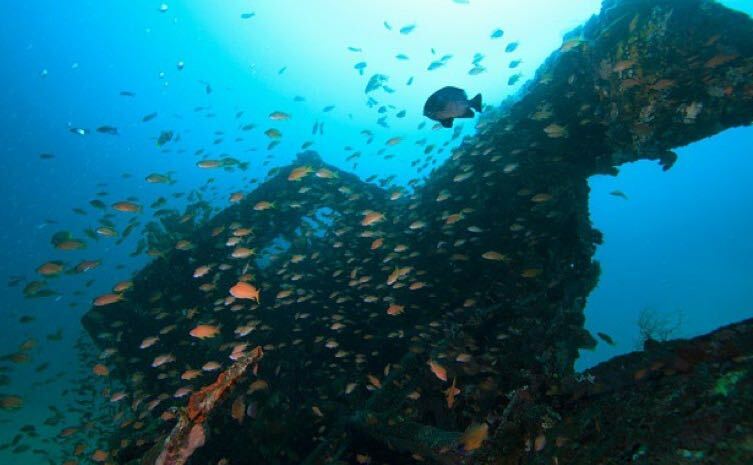 Dive deep to see the steel yacht and two timber boats, along with the large fish that swim in and out of them. 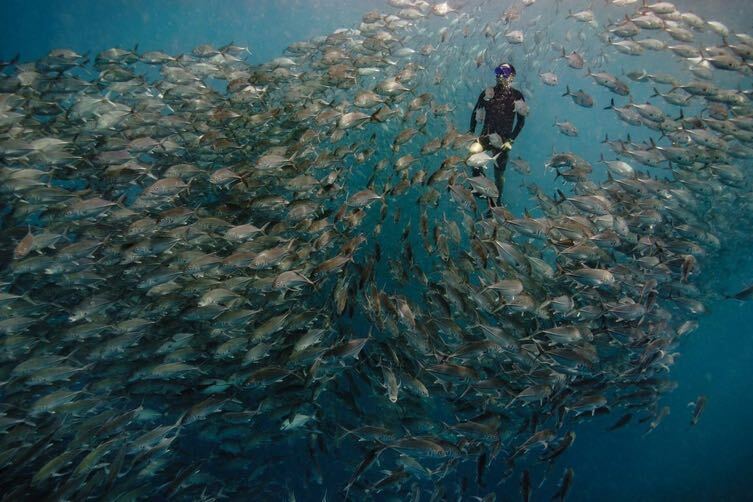 Be prepared to be in the visually overwhelming company of the swarm of eels, reef fish, juvenile fish, damsels, fusiliers, and sardines. You’ll be happy to say hello to the pipefish, morays, cardinals, frogfish, mantis shrimp, and all the kinds of creatures you once thought you would only see on the pages of an encyclopedia. 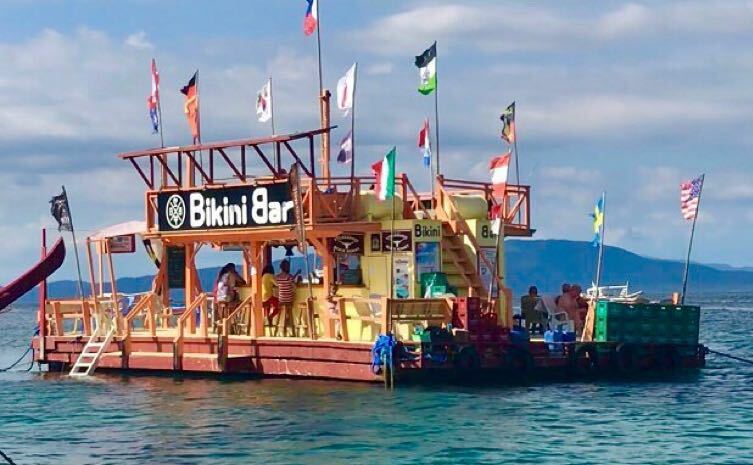 A perfect spot to soak up the sun, this bar has an upper deck, where you can keep aiming for that perfect tan, and a lower deck, for when you feel like you’re done getting baked. It serves cocktails and beer, too. If the lively White Beach is more your cup of tea, bars along the bustling stretch offer the homegrown alcohol mix Mindoro Sling. This bloody red drink is a mixture of rum, mango, orange, pineapple, mango, sprite and a bit of grenadine syrup. It’s the drink to try when you’re in the area. 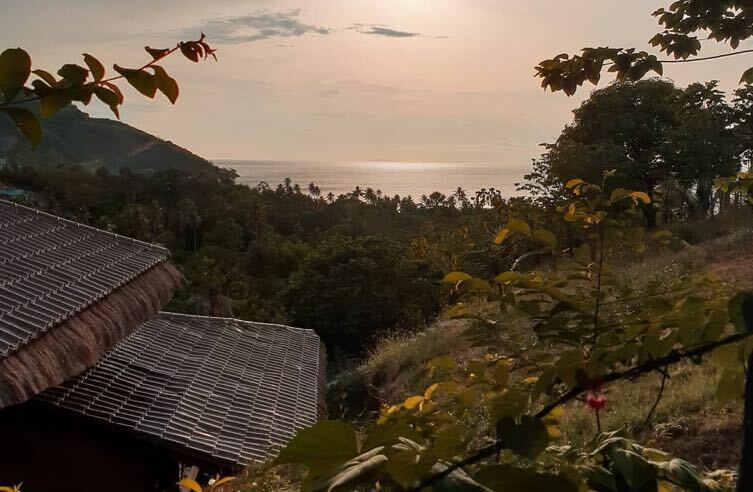 You are more likely to find the privacy and silence you seek in Talipanan Beach, 45 minutes away from Sabang and 15 minutes from White Beach, than in the more well-known spots. The sand here is a shade of soft gray, perfect for the serious business that is beach bumming. Feel free to lazily and unapologetically make a bed of the fine sand as the water repeatedly washes over your feet. This is the time to disconnect from your worries and connect with the finest nature has to offer. Walk around the village of the Iraya Mangyans, who have been living in Puerto Galera as early as the 1200s. 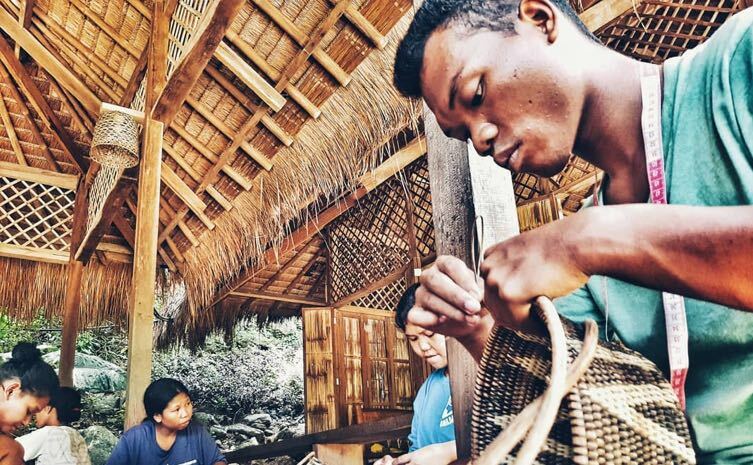 In this charming enclave, you will see skilled artisans at work weaving the native material nito into hats, baskets, place mats, jars, and cup holders under a roof that is a product of their own delicate handiwork as well. Support their craft by buying all your pasalubong here. Take the opportunity to broaden your horizons and ask the Mangyans about their history, their families, their culture, and their art. They are a warm and friendly people who are proud of their heritage, and rightly so. Hire a Mangyan to take you to the Talipanan Falls, a two-hour long trek away from the Mangyan village. The views on the way are nothing short of amazing: tiny rivers, big boulders, and congregations of tall trees. The journey might even be more satisfying than seeing the falls itself. 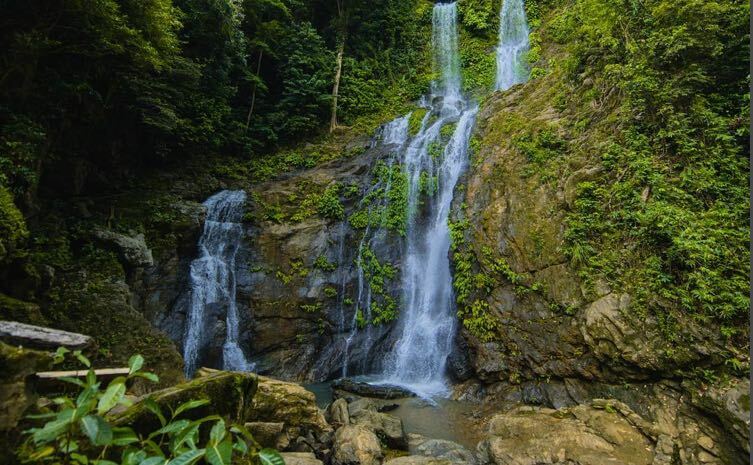 You also probably would not want to miss Tamaraw Falls, the captivating body of water that can be seen along the highway. A road runs through it, as though dividing it into two landings. It’s a favorite among tourists, and makes for a great backdrop for photos. 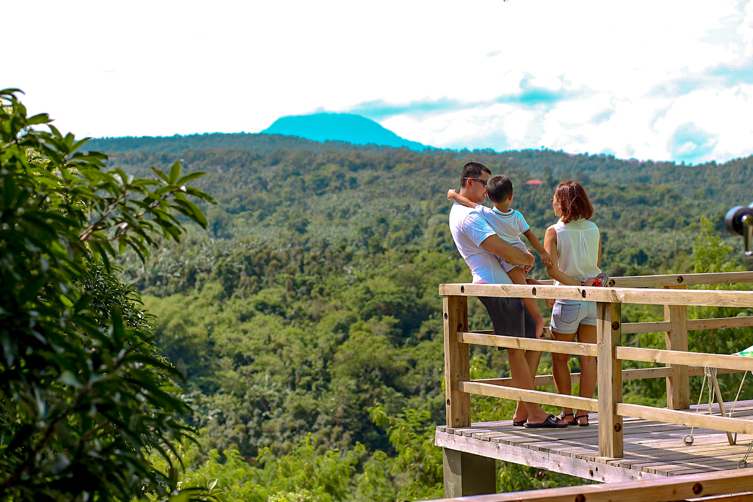 Make your way up to the Tribal Hills Mountain Resort in Barangay Aninuan, which is open even to guests who are not staying at their hotel. 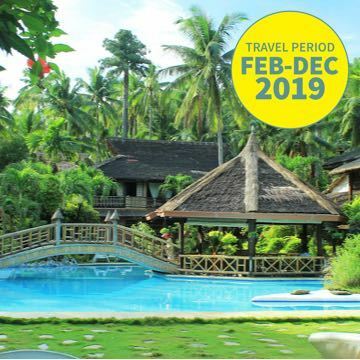 The hotel has a free shuttle service that can pick you up from and take you back to stops at the White Beach and Talipanan Beach from 6 AM to 10 PM. Special arrangements can be made if your preferred pick-up time does not fall within the specified hours. Tribal Hills has an outdoor archery range set on a hill and amid a backdrop of rich greenery and rolling mountains, where the air is fresh and refreshingly nippy. After an instructor teaches you the ropes of shooting arrows, you’ll be aiming for the bull’s eye underneath a thatched roof or nipa hut. Price starts at ₱600 per bow and target, per hour, but guests checked in at Tribal Hills can enjoy it at ₱300 per bow and target, per hour. Celebrate your success at the archery range with a drink or two at the Bar at Treetops Restaurant located at Tribal Hills, where you can enjoy the magnificent view for a much longer time. 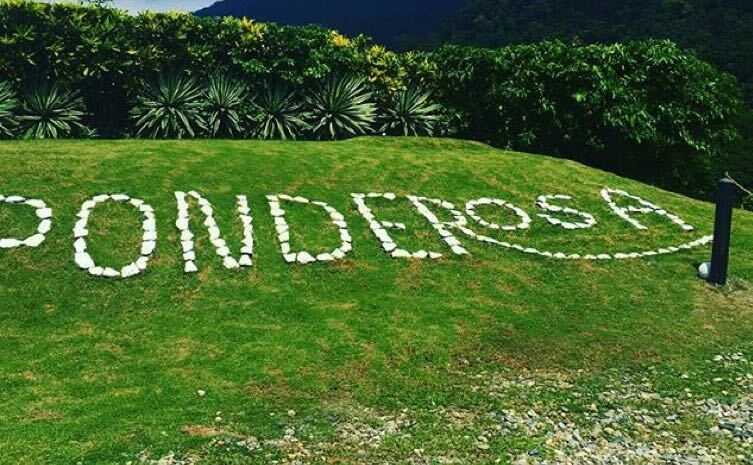 Cap off your stay in Puerto Galera with a few rounds of golf, or if that’s not exactly your thing, then a leisurely walk around the Ponderosa Golf Club in Mount Malasimbo. The Ponderosa Golf Club is the only golf course in Puerto Galera, with nine holes spread across 20 hectares. It’s less than 30 minutes away from White Beach. The path to Ponderosa is quite steep and long, so it’s best to rent a tricycle to get here. The view from their Clubhouse is nothing short of magnificent. A mansion with a grand staircase, it’s a place where you will not run out of scenic sights to take in. You can also hang out the Golfer’s Terrace, from which you can see all Puerto Galera has to offer—the waters, the sand, the hills, and the setting sun. 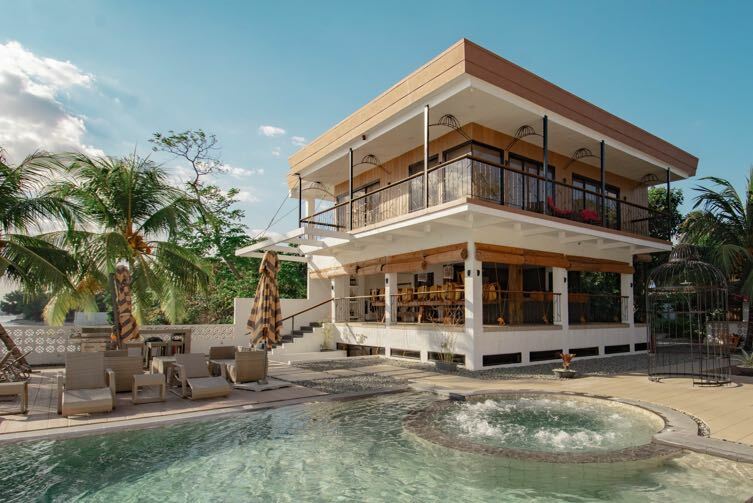 It’s no wonder the Clubhouse is a hit among hikers, divers, and those who have come to Puerto Galera to relax and reconnect with nature. 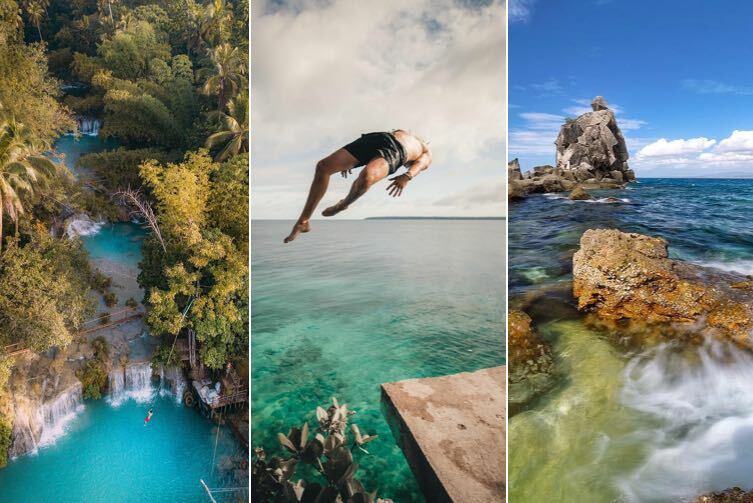 You may also want to try the zip line, so you can feel the cool breeze on your face as you fly like a bird over all the pretty spots you earlier stood or swam in. It’s a quick, refreshing way to look back on all the awesome memories you made during your trip. Finally, have dinner with the kind of view you don’t see every day. Sip on your drinks as you watch the night sky, then toast to the lovely vacation that was! Faye Monchelle Gonzalez is a freelance communication practitioner who works mainly with nonprofits. She is also in her last year as a working law student. She is an adventurer at heart, a vegetarian, an environmentalist, and a public health advocate. She plans to be a marine biologist and filmmaker in another lifetime, if that’s not possible in the present one.